A credit card apply online facility from Nedbank can help you get credit. Nedbank, one of South Africa’s largest banks, has a range of credit cards to suit your lifestyle. Credit cards give you the convenience of shopping while you also enjoy a range of reward programmes. To apply for a Nedbank Credit Card, you need to be 18 years of age, a South African resident and have an excellent credit rating. For a Classic, Gold or Platinum Credit Card, you need to be earning a salary of at least R36 000 annually. Once you’ve researched the different Nedbank Credit Cards, choose the card that suits your lifestyle then proceed with the credit card apply online application. Find the card of your choice on the Nedbank website and click on the ‘Apply here’ link. On the application form that appears fill in your personal information. Provide details of your name, ID number, address, bank account, your place of employment, position and monthly income. Once approved, a courier delivers your card to your door. 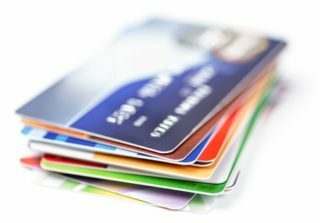 You may want to consider getting another card to keep your credit utilisation low by spreading your spending over 2 or 3 cards. Nedbank offers a variety of credit cards and each of these can be applied for online. If you have any queries, you can call Nedbank on 0860555111.The Nedbank online credit card application process shouldn’t take more than 15 mins to complete. Click on the green button at the bottom of the page which says ‘Start my Application’. Always use your card responsibly, pay the correct amount on the due date and enjoy the feeling of having instant cash in your wallet.